Feeling Overwhelmed? We're here to help! We're available 24 hours a day, 7 days per week by phone. If you or a loved one is in need of care, call today and schedule your free care consultation! Passionate caregivers assisting with important everyday tasks to keep our clients safe and independent in their homes! Click on icons to learn more about each service! You're likely on our site because you're exhausted and navigating some major care decisions. The process of finding, vetting, training, scheduling, paying and insuring a qualified caregiver can be overwhelming. Our management team is here to simplify your life by taking responsiblity for all the details. A friendly smile, knowing what you need before you even have to ask for it, similar interests – when you are with the right caregiver, it’s a lot like being with an old friend. Over the past decade Kennedy Care has refined the process of selecting, training and placing caregivers. We will match you with a caregiver who has the skills and personality to make you safe and comfortable. We work as an extension of you; providing the support to ensure that reliable, quality care is provided. Our team will work tirelessly to meet your care needs and make you feel like our only client. We are deeply committed to delivering informed guidance and genuine care that best promotes independence, dignity, and the highest quality of life. Taking steps, big and small, to improve the quality of life for seniors and the disabled. 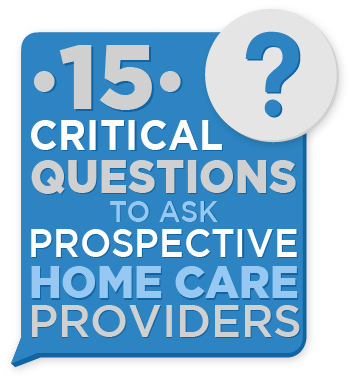 Learn the questions you should be asking before choosing a home care provider, along with what you can expect from Kennedy Care.